HOUSTON - Nov. 28, 2017 - PRLog -- What's the last children's picture book you read? Was it by a best-selling author? It seems counter-intuitive, but some of the best children's books are very low-ranking on Amazon. That's because they are self-published. The authors who wrote these books are great writers — sometimes great illustrators, too. But, they may not be the best at marketing. The Gittle List Book Competition, now in its fifth year, aims to find these literary gems and help their authors increase sales. "My contest offers something I've not seen anywhere else; free promotion for entrants," says Aviva Gittle, owner of Gittle Publishing. She is the host and sole judge of the contest that is exclusively for indie children's picture books. Entrants are promoted in many ways throughout the submission period. "Anything from a tweet to being featured in a video," says Aviva. All of the promotions cross-market the author's book and The Gittle List competition. Aviva says it's a win-win and the true goal of the contest. Indie authors helping other indie authors. Many entrants received free promotion over the nearly year-long submission period. Now, ten winners are being announced. Aviva reveals one winner a day, starting with #10 and working her way up to the #1 book of the year. Entrants and followers of the contest enjoy the anticipation. Aviva says there's another important reason for the daily reveal. "I want each winner to get a day to promote their win. Kind of like being queen or king for a day." Each Facebook post announcing a winner receives paid promotion. Everyone is encouraged to share each of the posts. Winners are given more promotion throughout the holiday season. To see the winners revealed, follow The Gittle List Book Competition Facebook page. https://www.facebook.com/TheGittleList/. "Please share — not just like — these Facebook posts and support indie authors. It's a couple of clicks and doesn't cost a cent to do so," says Aviva. Better yet, buy books on The Gittle List for the little ones in your life. 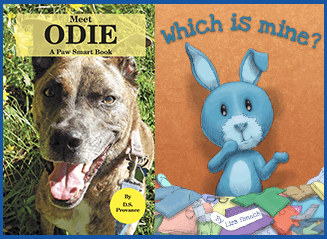 Featured books: Meet Odie earns the #9 spot and Which is mine? the #10 spot on The Gittle List 2017. Have you self-published a great children's picture book? Follow The Gittle List Book Competition on Facebook to be the first to know about the 2018 submission guidelines. They are due out in January. Learn more about the contest at http://thegittlelist.com/. 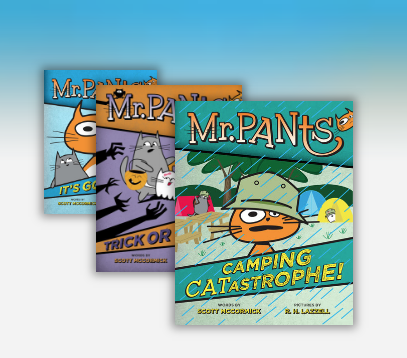 Gittle Publishing writes and publishes stories for children in English and Spanish. Learn more about Aviva Gittle and her books at www.GoToGittle.com. There are delicate moments of childhood when everything seems possible. A time when every wardrobe has the potential to lead to a kingdom, when the wind is just one whisper away from telling you a secret, and a letter from Hogwarts may arrive any day. For some kids, this feeling lasts a day, for others a week, and for a lucky few, years. My favorite books for young readers kindle that sense of possibility, and direct them toward the wonders of the real world. This is, of course, one of the most famous books in children’s literature, respected for its ingenuity and themes. What makes this book one of my favorites is its tacit permission to be angry. So many times, children (especially girls) are told how they should be or how they should behave, but in this book, Meg Murray is given permission to feel her feelings. And not only does the magical guardian Mrs. Whatsit tell Meg it’s okay to be angry, but that she is right to be angry…and that anger positively directed can be a catalyst for good. A book full of fresh mountain air and bright blue skies, this story features Miri of Mount Eskel, a young girl looking to represent her village well to the rest of the kingdom. And while Miri attends the prestigious Princess Academy, learning how to read and write, she also discovers there is a quiet magic in her mountain for those who are willing to listen. This original fairy tale is the best introduction to the basic concepts of economics, and shows how communities can change and grow with new information. Newly published, Love Sugar Magic: A Dash of Trouble, is the story of Leo, the youngest of five sisters, who discovers that her family has been keeping a secret from her: they are all actually brujas—witches of Mexican ancestry—who run a magical bakery. The book is full of humor, tasty descriptions, and a fresh magic that underscores the power of generational stories and the magic of family without once sounding cheesy or cliché. The best books are a reflection of our world, and the author’s deft blend of Texan, American, and Mexican cultures will be a familiar for some and new for others, but will resonate with all. While it’s fun to press favorite narratives into kids’ hands, it’s just as important to give them the tools and space to capture their own moments of wonder. Gail Carson Levine’s Writing Magic does just that. This fun, interactive guide is full of writing prompts and helpful advice, such as, writing down your thoughts, as you may think you’ll remember what it’s like to be a kid, but you won’t. And as a former child and reader of this book, I am deeply grateful for this advice, for without it, I could have never written my own. Children should be reminded that writing is more than essays—it’s about capturing a moment in time to save for a rainy day. Looking for the perfect picture book? Social networking is powerful. One-third of the world uses social networks regularly. Studies show that 81% of shoppers use the Internet to help them make purchasing decisions. While physical book clubs and reading groups still exist, online communities for book lovers make it easy for readers to share the books they are reading and their thoughts about them with a much wider audience. Social networking sites for books allow readers to connect with other readers around books. 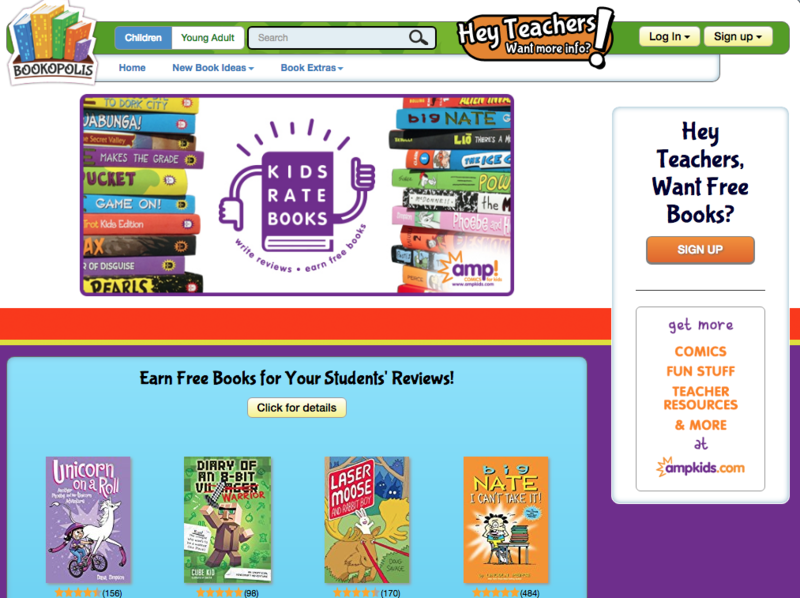 On these sites, readers can keep an online record of the books they have read and those they want to read. They can share these lists and their reviews of the books they read with others in the community. Best of all, many readers use these communities to discover new books to read. These online book lover social networking sites offer authors a great way to harness the power of communities. You can use these online book communities to develop an audience and gain more readers for your books. As an author, you can join these communities and interact with readers. These social networking book sites provide you another channel to promote your books and talk about them with interested readers. As an author, you can also set up a profile and engage in advertising. You have probably already heard of Goodreads, the largest and most popular of these online book lover communities. 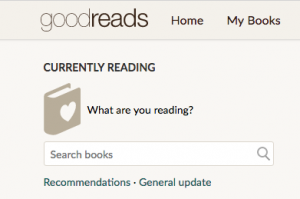 Goodreads is the largest site for readers and book recommendations in the world. It boasts more than 7.3 million members, from casual readers to bookworms. However, Goodreads is not the only book lover community on the Internet. Here are five more you can join to harness the power of community to promote your book. This community hosts 2,100,000 book lovers. LibraryThing connects readers to people who read the same books. BookLikes helps people share their reading life and discover new books. It's a blog platform designed for book lovers. Riffle is a vibrant community of book lovers. Riffle inspires people to read more books by connecting them with librarians, avid readers, authors, and deals on books they’ll love. Bookstr connects books with people. The site makes discovering books entertaining, informative, and socially engaging. GoRead combines an author/reader community with an e-commerce bookstore. 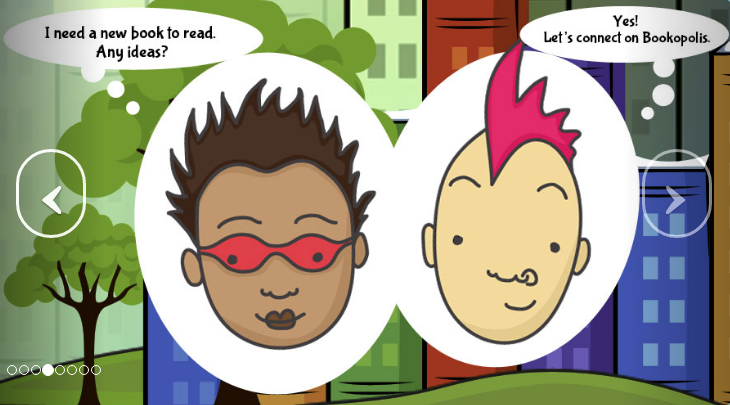 The site offers members “Litcoins”, a digital currency they can exchange for books in the GoRead’s book store. Keep in mind, the key to making the most of these online social networking communities for readers is the same as with every other social network. The majority of your activities should be about connecting and providing useful information to others through joining the conversation and rating and reviewing books. Mine was the 21st comment under this discussion. 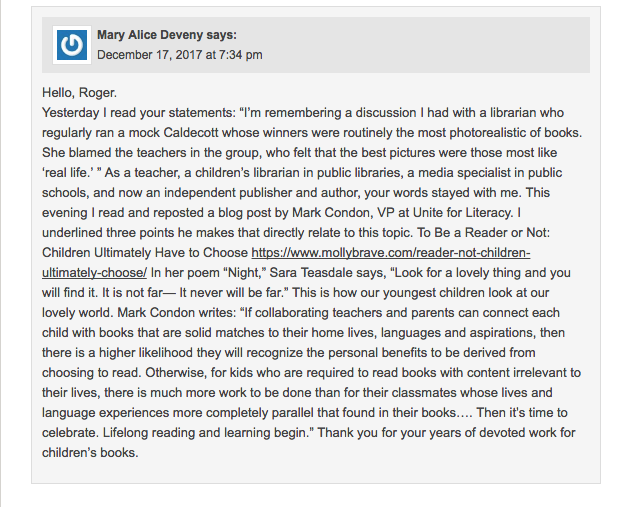 Discussion published on Calling Caldecott, a conversation between Elisa Gall and Jonathan Hunt about photography as a medium. Say cheese. –J.D. ELISA GALL: So, last I checked with ALSC Youth Media Awards aficionado K.T. Horning, a photographic picture book has yet to receive Caldecott recognition. There have been books with photographic elements, like Knuffle Bunny (2005 Honor) and Smoky Night (1995 Medal), in which photographs are used for backgrounds. There have been books like Trombone Shorty (2016 Honor), which contain photographs as part of mixed-media collage art. There are also books where the illustrations are photographs of 3D art, like Golem (1997 Medal), Viva Frida (2015 Honor), and Radiant Child (2017 Medal). But a picture book illustrated with straight-up photographs has yet to win. Do you have any thoughts on why that might be the case? JONATHAN HUNT: My Caldecott committee actually picked two books that fall in that last category — Viva Frida (illustrated by Yuyi Morales) and The Right Word (illustrated by Melissa Sweet). Anyway, as to reasons for not having a “pure” photography book, I think there are several. First, there really isn’t a big pool of books that use photography as the exclusive medium. With the advent of digital technology, we are seeing more and more of them, but we are also seeing lines blurred. People are using that digital technology to manipulate images. Peter Brown, Jon Klassen, and Dan Santat, for example, have been known to scan textures and colors as files and then digitally manipulate them to appear as if they used a hand-crafted medium. Second, I think people don’t realize the award isn’t for the best art; it’s for the best picture book — and that means the words are important, too. You may have a small pool of photography books to begin with, and then you have to narrow it down to those which are also good picture books. Finally, I think there is a perception or a bias that photography does not require as much skill; draftsmanship in various mediums is seen as inherently more artistic. So that’s my theory. Does any of that resonate with you? ELISA: You’re right that there isn’t a big pool of books that use photography as the exclusive medium. 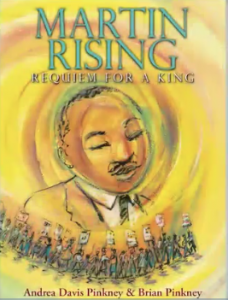 The recent example that always comes to mind for me is My People, for which photographer Charles R. Smith Jr. won the Coretta Scott King Illustrator Award in 2010. And we both know that just because a book hasn’t received Caldecott recognition doesn’t mean that it wasn’t part of closed-door deliberations. I’m interested in your idea that draftsmanship in various mediums is seen (even if subconsciously) as inherently more artistic. This is likely true (although I consciously reject the idea that assumed difficulty is a factor necessary for a finished book’s excellence), but I also think part of the reason we haven’t seen a lot of photography books recognized is that many books illustrated with photographs contain “previously published” images and are determined ineligible. Is Meet Cindy Sherman a visual experience? Undoubtedly. Does it have a collective unity of story-line, theme, or concept? Absolutely. The book describes her work as an artist, and the pictures include various portraits of herself in a myriad of guises. If this book were to win — and I don’t think it will; this is more of an intellectual exercise — it would be interesting, because there is no indication that Sherman collaborated on the book with Jordan and Greenberg. I’m not sure that artistic control of the book is explicitly mentioned in the criteria, but isn’t it sort of implied? I’m also going to push back a bit on your “previously published” comment, because the back of the manual expands on and clarifies this. The intent is to ensure that a book is a new creation and not a re-creation from some other work. This does not mean that some minor portion of the work cannot have appeared elsewhere. It does mean, however, that no significant part of the book under consideration was originally part of another work. Not all cases are clear-cut, and each committee must make its own judgments about originality. Where consensus is not easily reached, the chair should discuss the issue with the priority consultant, who may also consult the ALSC president, the executive director, the board, or previous chairs. Sherman’s photographs have always been a part of exhibits. They have been published, after the fact, in various books. Some of these photographs may have appeared in other books, but I do think this is essentially a new creation. Others will obviously disagree. This book has so much working against it, but the photography is wonderful, head and shoulders above most of the stuff we’ve seen in children’s books. Perhaps Neal Porter should recruit Cindy Sherman to do an original picture book, so it can become our first “pure” Caldecott photography book? Photos are everywhere. They are part of our everyday life, so we start to view them as ordinary (read: not fine art), and many of us lack practice and training in evaluating photography critically. We all can take photos, and it is possible (even if unlikely) for an unskilled person to fortuitously take an amazing photo. It is much more difficult for someone to accidentally create a genius watercolor. You joke about Neal Porter recruiting Cindy Sherman to do an original picture book, but I can’t think of a photographic picture book with a stronger “visual experience” than Meet Cindy Sherman. Sherman is the illustrator here (you are right that it is implied). Her name is even on the title page (because it is in the title). This is the Sherman picture book we need, with stand-out visuals coupled with excellent research that spotlights her work and simultaneously scaffolds readers’ understandings, putting the photographs in context. It’s a picture book about a photographer and her photography which uses said photography. (Excellence of execution in technique employed, check. Excellence of pictorial interpretation of theme or concept, check. Appropriateness of style, check. Delineation of theme, mood, or information, check. Excellence of presentation in recognition of a child audience, check.) What else could we ASK FOR?! The text-to-picture ratio discussion often perplexes me, especially since we can always find examples of text-heavy Caldecotts. I noticed that in trim size and length, April Pulley Sayre’s Full of Fall, which is also illustrated through photography, looks more like a “traditional” picture book. Have you had a chance to take a look at it? JONATHAN: Yes, I think Full of Fall is another great book to discuss this bias. I think the assumption is that we could have all clicked the button that took those photos; all you have to do is wander outside in New England in the fall. And while that may be true, can’t we all draw the Pigeon, too? I know, I know: there aren’t many books like Don’t Let the Pigeon Drive the Bus, either. But I definitely think there is an unconscious hierarchy of which mediums require more skill. 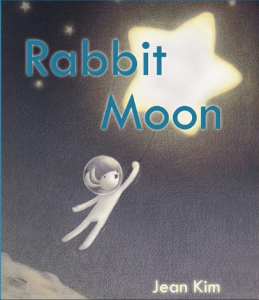 And this is a poetry book with a light focus on science, neither of which are heavily favored by Caldecott committees over the years, so I think it’s complicated because there are actually multiplebiases that are potentially in play. But laying all that aside for the moment, here’s what I notice about Full of Fall: there’s a great use of color and light; the various textures of the leaves are captured wonderfully; there is a great sense of composition in the full-page spreads and use of frames to present close-up pictures of leaves in contrast to full landscape views, incorporating the surroundings — birds, sky, animals, other plants, water. This provides nice context. I’d love to share this with children! But here’s the thing: as much as I can appreciate this book, Wolf in the Snow is the high-water mark for me. That book elicits such a strong emotional response, and while I know photography can do that, we don’t see it in picture books. Nor do we see the same degree of narrative storytelling. ELISA: I completely agree with your assessment of Full of Fall. Everything you pointed out — from the use of color and light to the alternation between close-ups and views from afar — demonstrates excellence. I love the build-up with smaller frames leading to page turns revealing full-page spreads, not to mention the simple but ever-on-theme orange endpapers. The only downside to this book for me is the typeface, which is light and skinny and can sometimes be hard to find on the page, even when you’re looking for it. You are right that the triple threat of science, photography, and poetry themes make this book a bit of an oddball. I do think your points about Wolf in the Snow, “strong emotional response,” and “same degree of narrative storytelling” are interesting. This book doesn’t have a strong story per se, and it might feel more workhorse-like than others, but to me that does not make it any less successful in its “collective unity of … concept, developed through the series of pictures of which the book is comprised.” Full of Fall elicits, through its images and to the right reader, a hugeemotional response. What better way to evoke the sights, sounds, feels (to your point of texture), and smells of the season? The last one might be a stretch, but to me, this book is like the scent/flavor of pumpkin spice: It’s not for everyone, but those who love it, LOOOOOOOOOOVE it. I love Wolf in the Snow too, though! JONATHAN: While I’m not sure that Full of Fall lives up to that Wolf in the Snow standard (or After the Fall), at least for me, I think it compares more favorably to something like In the Middle of the Fall, which also presents a visual narrative of the changing of the seasons. ELISA: You’ve included the titles of so many other excellent 2017 picture books! While I’m compelled to echo your cheers for After the Fall and list a few of my not-yet-mentioned favorites, due to space limitations I think our support for additional books will have to continue elsewhere. I’ve enjoyed this conversation on photography and believe it’s a great reminder of the challenge and thrill of comparing each book with the next — and how many different kinds of books there are that fit the definition of “picture book” as presented in the Caldecott manual. I trust this year’s committee will have fun learning from each other as they discuss and decide on this year’s most distinguished. I can’t wait to see what they choose! Do you have a good title idea for this post, other than one that doesn’t use the low hanging fruit of photography puns? Elisa Gall is the youth collection development librarian at the Deerfield Public Library in Illinois. Jonathan Hunt is the coordinator of library media services at the San Diego County Office of Education. "Luminous...Lilting lines combine with endearing characters in an effervescent examination of fulfilled desires and kindness reciprocated." "[Kim's] world, with its friendly glow and reassuring companionship, is one children will want to return to." Watch author and illustrator Jean Kim at work on her book in this Scholastic video.